The #LearningFirst movement is something that turned up on my radar after the conference held in Sheffield last year. At that time, my Twitter feed was awash with tweets from colleagues excitedly reflecting on what they were hearing and sharing the the thought-provoking and progressive comments made by the speakers. 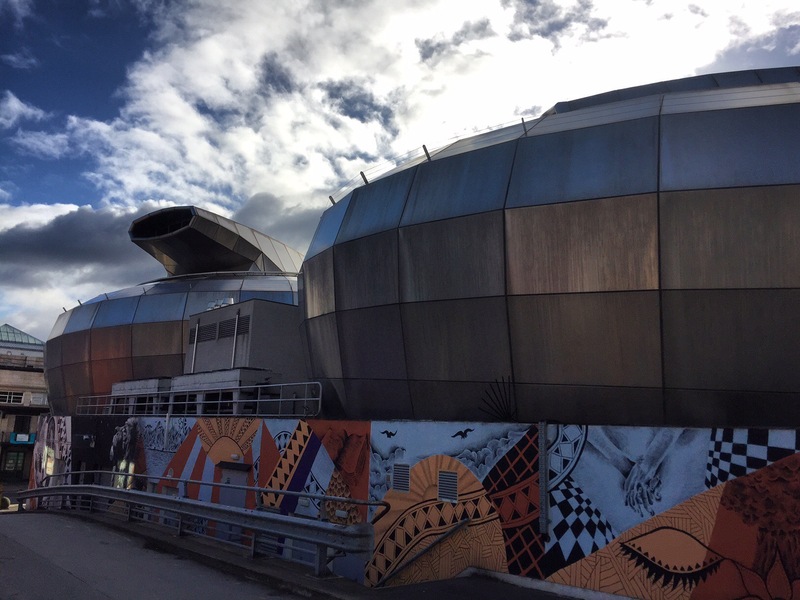 Yesterday, I attended the second #LearningFirst conference to be held in Sheffield and heard from a number of different speakers on issues that I am facing directly in my current role. My thinking and ideas were challenged, poked and prodded. My teaching, learning and assessment philosophy, happily, was reaffirmed and given greater emphasis. I was able to connect with more people facing the same challenges and sharing the same ideals. I’ve collected copious amounts of notes and images from the day and will reflect on this in the coming few days but on my way back to London (with wifi on my train) I put together a few of my notes. I’ve briefly collected my thoughts under some key headings that I feel link to the main themes discussed during the day. Learning is the most important thing to focus on in schools. Stephen Tierney kicked his session off by reminding us that, “Life without levels is a curriculum issue, not a data issue.” Schools should put learning at the heart of their assessment systems and learning should be the driving force behind assessment. In doing so, we must consider exactly what it is that is important in terms of learning. Ofsted’s National Director of Education Sean Harford encouraged us to take back some ownership over what we teach and how we teach it; to regather some agency and remember the freedoms of recent education policy that, it seems, have been lost and forgotten about. Dialogue around assessment should focus on learning. We should be discussing what children know and can do, and identifying what they do not know and cannot do. Talking about children in terms of emerging, developing, securing and mastering is not helpful and does not support learning. Rather, it is almost a direct replacement for levels. Simply knowing who is ’emerging’ doesn’t help support their development. A group of children who are all ’emerging’ can have vastly different areas for development. We need to rethink the data we gather. One key question Simon Smith asked at his school was, ‘who is the audience?’ Who are we gathering data for? Is it having a direct impact on improving learning for the learners? Does the information we have help us get it right for the pupils in our school? Simon reminded us to only ‘measure what matters’. There is a lot that children need to learn but what is it that we need to assess? During Simon’s session we also discussed the external barriers that can seemingly force schools to go overboard with the collection of data. Helpfully, later on in the day, Sean Harford reconfirmed that there is no expectation on schools to gather specific sets of data. The only questions an inspector will be asking are: what assessment info have you got? How do you use it to improve learning/support learning? Show me how you do that. We need to rethink tracking. ‘We track parcels and satellites. Please stop tracking children,’ exclaimed Mick Walters. James Pembroke highlighted the futility of using the new data and progress measures to set targets and judge progress and attainment. In his excellent speech-come-rant, he took the audience through the new RAISEonline reports, value added progress measures and floor standard. Listening to him yesterday afternoon and hearing the audiences’ responses, the absurdity and complexity of these new measures made them seem all the more ridiculous. Following James, Michael Tidd explored the idea that just because you teach something doesn’t mean you have to track it. As schools, we must decide what we want to track and why we are tracking it. Teacher honesty is crucial in the assessment process. All of this will be pointless if teachers are not assessing honestly. It is a disservice to the children, and as Simon Smith put it in his workshop, ‘If our assessment isn’t honest, the only losers are the children’. For this reason, we must consider the time we give teachers to assess, and rethink performance management targets that link pupil attainment percentages to pay. At Simon’s school, teachers are given an extra hour a week to focus on assessment and conversations surrounding children’s learning are constantly happening. Talking about learning at all levels (children, support staff, teachers, leaders, parents, governors) should be promoted. Teachers, leaders, educators: we have been deskilled. We have had ’20-30 years of deprofessionalisation’, remarked Stephen Tierney, a thought that was echoed by many throughout the day. The difficulty with life without levels is that teachers are used to being told what to teach; we are used to being told what to assess and how to assess it. This is why, when levels were removed, we saw so many schools panic buying ready made assessment systems that were totally unfit for purpose or simply replacing levels with something that, ultimately, did exactly the same thing. We need to have the courage and confidence to expel external fears. Hearing from Sean Harford was particularly interesting and useful. Ofsted have done a great deal of work to dispel some of the myths around inspection in recent years and Sean reminded us of this. He reminded us to use the documentation to professionally challenge external pressures (including Ofsted inspectors) and encouraged us to have real confidence and conviction in what we do. I think it’s important to add that all the colleagues we heard from today clearly had a very strong vision underpinning everything they do in their practice. For principled assessment to work in practice, all stakeholders must understand the concepts and ideas behind it and, perhaps more importantly, believe in that philosophy themselves. The stories that were shared about successes and improvements in schools would not have been possible without a real clear focus on the ‘why’ behind assessment. The focus of the conference today really sums everything up: #LearningFirst. 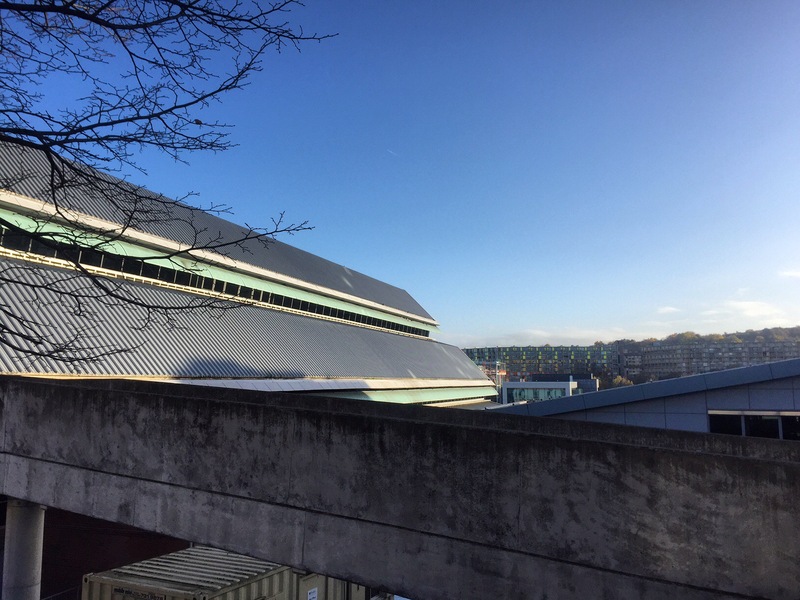 Photos of Sheffield by me. Observing teaching and learning across EYFS, KS1 and KS2 has been an absolute privilege for me in my role as Head of Teaching and Learning. I’ve always found that visiting other people’s classrooms is a fantastic learning experience that aids me in reflecting on my own practice as much as it helps me support others in reflecting on theirs. Recently, I organised a round of peer observations at my school. Every teacher was observed and every teacher observed a lesson alongside a member of the leadership and management team before the three colleagues sat down to discuss what had been observed. The observations were not graded and the aim of the discussion was very much to focus on identifying and analysing the learning that had taken place during the session. I’d like to say that being observed is like marmite for teaching staff; they either love it or hate it. However, I think that I’d be hard pressed to find any teacher who actually ‘loves’ being observed. The pressure felt by some teachers when the observation cycle comes around is visible and I’ve seen a number of teachers struggle during lessons that they have often over prepared for and that are completely different to their usual, effective teaching practice. It is the negativity that surrounds the observation cycle and the perceived pressure that is placed upon staff that I am sure is part of the problem fuelling the recruitment crisis in schools. This is something we must strive to improve. However, if we are to retain teachers and make the most of observations in terms of driving improvements in learning, we must seek to make changes to how our monitoring cycles work. If we want teaching and learning to improve, we must build teachers’ motivation and take a positive approach to the statutory cycle of lesson observations. This, alongside talking about learning and analysing and modelling effective learning experiences will help build capacity for improvement. I think that encouraging more peer observations that focus on observing and discussing learning is one way of beginning the shift in observation culture that schools need. In his recent webinar, ‘Leadership for Teacher Learning’, Dylan Wiliam (assessment guru) explored some of the key components of successful professional development in teaching. The webinar provided much to contemplate in terms of how leadership teams can shift their thinking around constructing development opportunities for teachers. One key message was that ‘teaching quality is not the same as teacher quality’ and that the quality of children’s experiences depends on many factors (curriculum, class size, resources, etc.). The crucial variable in determining the effect of the learning experiences of pupils, it was discussed, is the skill level of the individual teacher. Wiliam delved into the research and effect sizes of studies that have been carried out into teacher improvement and explored issues surrounding ‘elite’ development, a teacher’s personal commitment to improving and the importance of focusing teacher improvement around formative assessment practices. The positive impact of this round of peer observations on teaching and learning at my school has been made clear in many different ways. Teachers who had the opportunity to observe during the first week of the cycle showed, in their own lessons, that what they had learnt about effective learning experiences had been put into place in their own practice. In addition, the quality of the dialogue that ensued post-observation showed rigour in its focus on the learning of pupils. Lastly, the impact on teacher’s attitudes to being observed have, informally, improved. Since the observations, many members of the teaching team have commented on how beneficial the opportunity to observe and discuss learning has been for their own development. I’ve looked at many models of leadership as part of my own self directed professional development as a leader. What I strive to be is a ‘learning leader’ (Hattie, Visible Learning). In my leadership practice, I place high emphasis on student and adult learning. The questions, ‘how do we know that learning is effective?’ and ‘how can we use this to improve teaching and learning?’ are at the centre of my thinking. I want to encourage rich discussion and analysis of a learner’s learning rather than a teacher’s teaching and to focus on student outcomes as a result of actions in class. Organising a round of peer observations is, obviously, only part of my role. But it is one that has helped improve practice; started to improve pupils’ learning; and motivated teachers to engage in professional development. It is definitely something that we will continue to embed as part of the monitoring cycle at our school. Today has been one of those days. One of those days that reminds me just how rich my job is in its variety and just how important it is for me – in my multifaceted role – to be able to adapt to situations in an ever-changing context. Having observed learning in two lessons; discussed the outcomes and fed back to the teachers of these lessons; met with an EP; taught Maths and English; encouraged and supported a child to eat their lunch; dealt with two behaviour incidents; phoned two parents after school; and attended a moderation meeting with three other local schools to look at Year 6 Maths, it’s been a long day. Mastery by Robert Greene (not related to mastery as schools have come to use the term but an analysis of hugely successful people from history and a discussion of strategies that can be used to change and challenge ‘rules’ of achievement). Lastly, a thought provoking point for senior leaders in schools to take into account. Shared by Mark Deere on LinkedIn, the extract below is a reflection on how great companies recruit and retain employees. Particularly important to consider within the current climate of teaching recruitment. 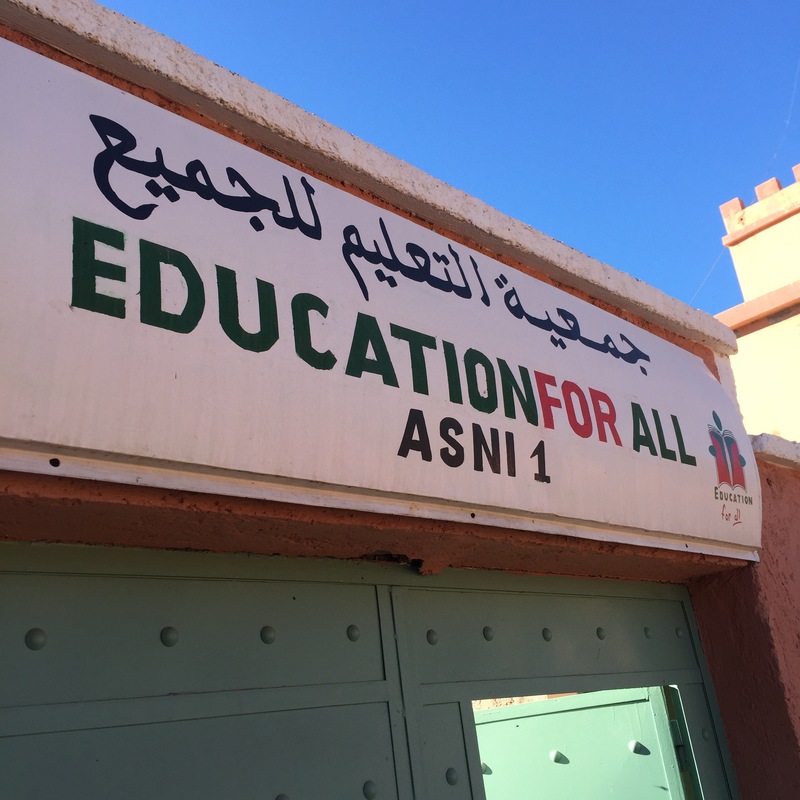 This weekend I’ve been out in Morocco on a study trip with Education For All, a charity that enables girls from rural areas to attend school. It’s been an incredible experience and I’ve met some inspirational people. I’m writing this post on the flight back to Gatwick and I know that there will me much more to reflect on in the coming weeks. However, these are my initial thoughts, observations and comments on what I’ve seen over the last 3 days. A brief snapshot of the charity and its work would be helpful for a bit of context. It’s probably best to get that from their website. But, in summary, they build boarding houses for girls from poor, rural communities in areas south of Marrakech so that they can go to school. Obviously there is a great deal more to the charity, which I have attempted to encapsulate in this post but check out their website and this TEDx talk for more. The issues the charity challenges are twofold. Firstly, all of the girls originate from villages where there is no local secondary school. In some cases, the nearest secondary school is up to 60km away. By building and furnishing boarding homes close to schools, the charity offer girls a place to stay during the week within immediate walking distance of a school, eradicating the previously impossible task of a daily commute. Secondly, there are cultural factors to face. In a lot of cases, particularly in rural areas, a girl’s role within a family is to stay at home to work or care for younger siblings. The place of education in the family is often reserved for the male members. While this is certainly not always the case (see below) and while this traditional family model is changing, part of EFA Morocco’s role is to work closely with families to promote the importance of ‘Education for All’. By providing an education for young girls, the hope is that, as future mothers, the girls will continue to value female education and pass this culture of learning on to the next generation. What is particularly interesting about EFA Morocco’s journey is that, while there are still issues to tackle culturally regarding the education of female family members, it is in fact the rural communities themselves that called for the opportunities EFA provides in the first place. The Moroccan government does provide housing for girls but access to this housing is not free and often the conditions are poor. It was the forward-thinking members of these rural communities whom raised the issue of school access. This is a great example of a bottom-up process of innovation and these ‘wants’ provided a great base on which to build the charity and its role in the community. Part of the weekend was spent visiting four of the five boarding houses that have been built so far. Each house is run by a ‘house-mother’ who supports day-to-day life for the girls alongside a cook and a cleaner. The girls share rooms with up to 5 others (sleeping in triple story bunk beds that look great!) and are provided with everything they need to ensure they can focus on learning and their studies. This includes pencils, pens, books and even a small suite of computers with Internet access. Walking around the houses and talking with the girls and the staff, it became clear that this project is having a dramatic impact on the lives of Moroccan women of all ages. Obviously, the absolute fundamental positive impact has been on living conditions and access to education for the girls. (Some of these girls come from homes without individual beds; some will never have used a shower). These young women are incredibly driven and truly relish the opportunity they have been given to learn. Their ambitions are high: from doctors to directors of companies, these girls are striving for success and finding it. The first girls to enter the first ever EFA house are now of university age. Almost all of that first ‘cohort’ went on to study at degree level and are all currently at Marrakech university. But it is not only the girls who are benefitting from the project. 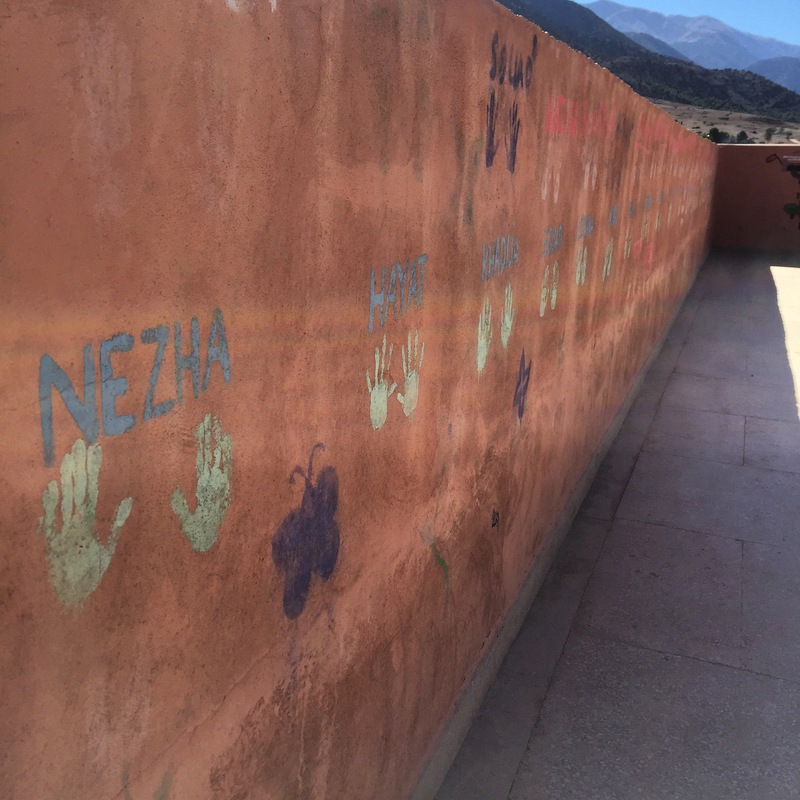 The house-mothers are finding better lives through paid employment; the girls’ families are seeing the impact an education can have; whole communities are finding employment through a Kasbah that helps fund the project (more about this below). The impact is truly widespread. This trip has had a huge personal impact on me in many ways. But what is the professional impact and what will be the ‘take back’ from this study trip? Initially, my reflections centre on the children in my class who came to the UK from other countries or whose families originate from places and communities where similar struggles are faced. Understanding the context from which children enter our classrooms can enable an important level of empathy and support in forming strong relationships from the beginning. Something I will aim to do more of when new children join my class (or when I start with a new class) is to find out much more about their origins and experiences in a more structured way than the current informal, conversational strategies that are in place. When I mentioned that I was visiting Morocco to a girl in my class who was born there, her face lit up. She was incredibly excited and began sharing everything she knew about the country, the culture, the climate and the language with a level of enthusiasm that I’d not experienced before. During my short time in Morocco the level of national pride and passion held by its people was astounding. Even those living in poor conditions, love the country. The girl in my class showed similar passion. This trip has clarified to me the importance of enabling pupils from other cultures and countries to share their knowledge and understanding. I hope to begin a project in my classroom where pupils are given the chance to create and share something based on their origins. I think this is something that a lot of schools attempt but it can too often be a tick box exercise rather than something with true meaning and purpose. With such a tight timetable and curriculum pressures from every angle this will not necessarily be easy; I’ll certainly need to develop these thoughts. At the moment, what I can definitely envisage is a Skype session between the Moroccan girl in my class and the girls in the boarding houses of EFA Morocco. Another important outcome for me is to share what I have observed with the children in my school. Many of the children will already know about the difficulties faced by children of their age in other parts of the world. It is not something that they will be strangers to. However, I think it is important for our children and young people to have a greater understanding of these issues and to have the opportunity to consider solutions to some of these problems themselves. In the future, the children we teach may be the ones to setup charities to support the issues they hear about from around the world. I’d like to share the issues I have heard about and observed this weekend with the children and ask them how they might solve them before I explain the work of EFA and share the approach they have taken. I think it will also be worth using this weekend as an opportunity to discuss the religious practices of Islam and to reflect on and refute the often one-sided, negative portrayal of the religion that – particularly recently with world events – has sadly been reported in our media. Another ‘take back’ relates to how to spread the message of EFA wider and how to help the charity increase the money it can raise. The model the charity have used to provide these opportunities for the girls is something that could be replicated and up-scaled across Morocco and the wider world where similar issues exist. Inevitably, this can only happen if revenue can be raised and enough funding generated. Financially, the charity is supported by donations, fundraising events (including a huge bike ride!) and the income from a Kasbah owned by the directors. 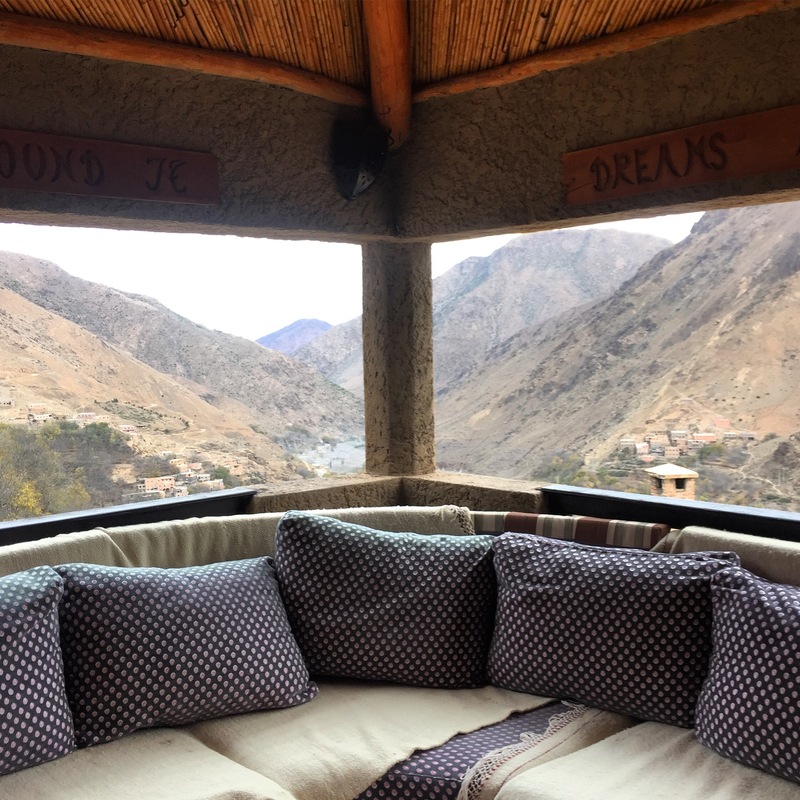 I was fortunate enough to have the opportunity to stay in the Kasbah du Toubkal: an amazing property situated in the shadow of Jbel Toubkal (North Africa’s highest mountain) above the Imlil valleys. As an aside, Daniel Craig and Paul McCartney are among the clientele and the Kasbah is one of National Geographic’s top places to stay in the world. 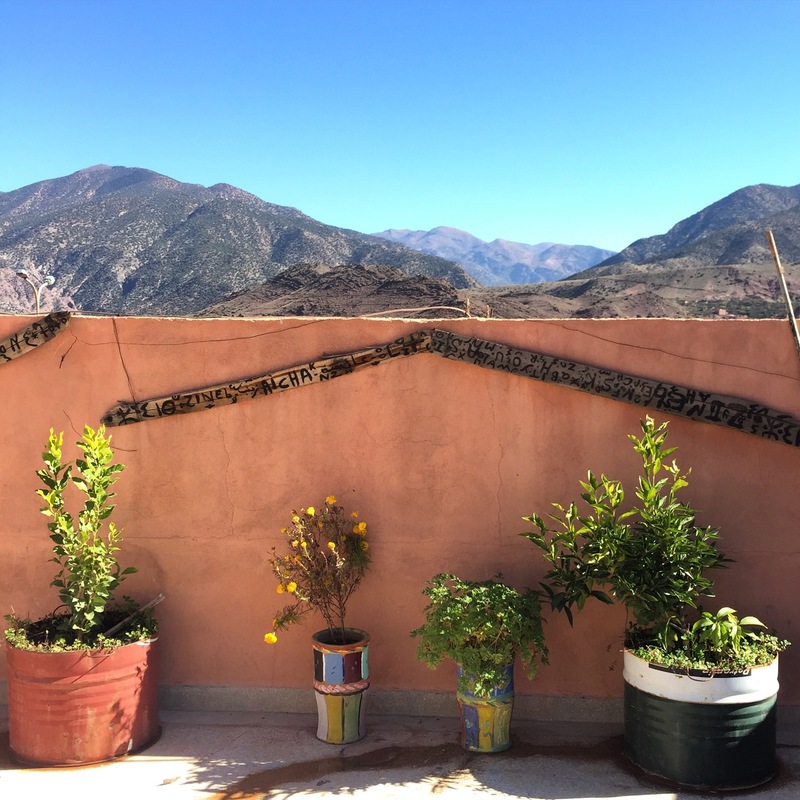 Run by Hajj Maurice and his wife Hajja Arkia, the Kasbah provides a ‘Berber hospitality’ experience rather than that of a traditional hotel and restaurant. 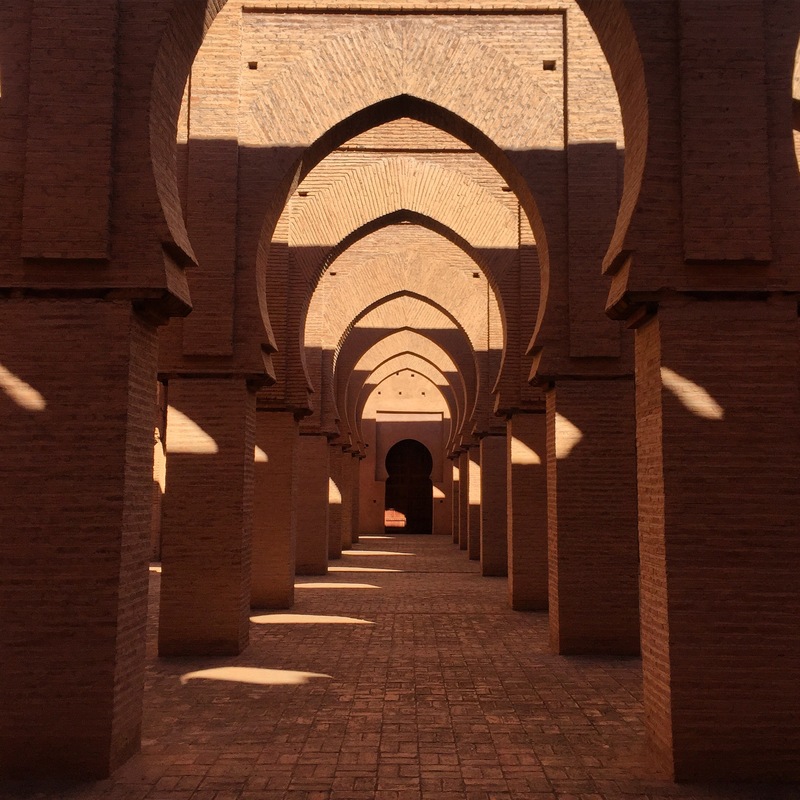 The area is inhabited by the Berbers – the original inhabitants of North Africa – and so the local community are central to the running and to the experience of life at the Kasbah. 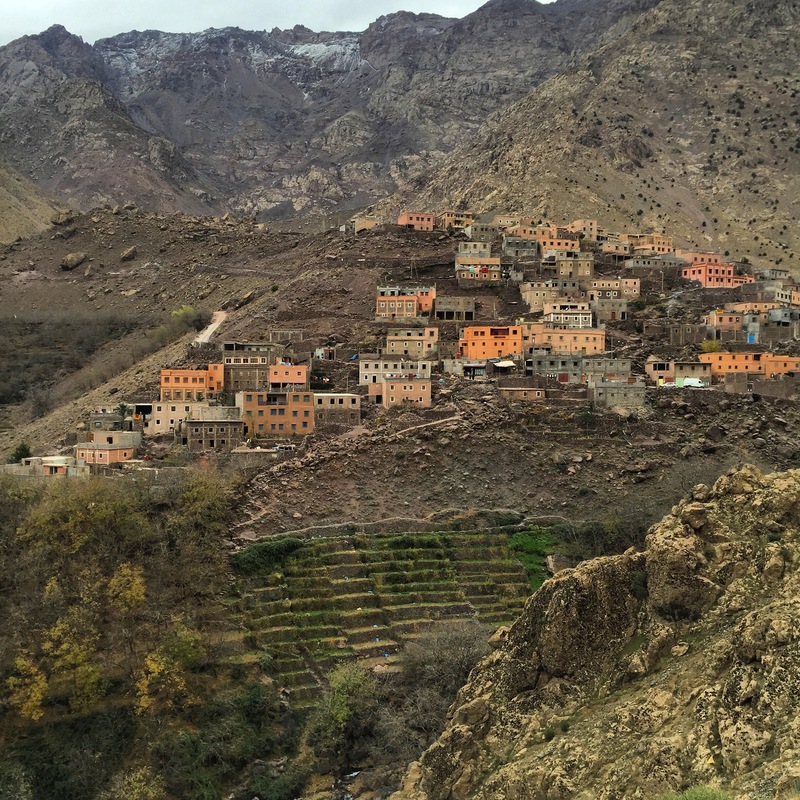 This was evident as soon as we arrived in Imlil (we were greeted by 5 locals and our bags were immediately taken by a muleteer and loaded on to a donkey) and continued throughout our stay. The Kasbah’s influence on the community is widespread. As well as employing a number of locals, the Kasbah uses a range of local suppliers to provide breakfast, lunch and dinner and the development of the Kasbah has led to increased business for local vendors (via increased tourism) in the whole area. What struck me most about this, was how humble the entire community were. Hajj Maurice is hugely respected in this community not only because he has been on pilgrimage but because of his hard work with EFA Morocco and more directly with ensuring the Kasbah’s redevelopment. The humility and hospitality of the Berber people and the genuine pride they take in sharing their history, language, culture and beliefs with others is something that we could all learn from. 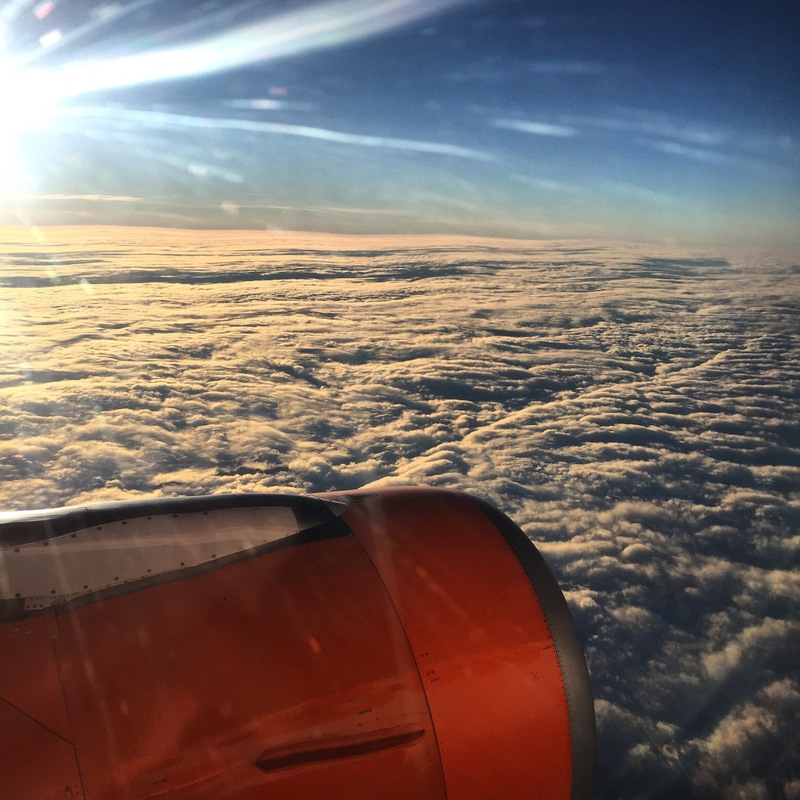 We’ll be landing in a few minutes time and I want to complete this post before we do as, no doubt, it’ll be straight back to the manic world of teaching and living in London tomorrow. However, if there is one thing I take away from this trip, it’s that it’s incredibly important to make time to reflect on the issues and struggles faced by those less fortunate than us in our world and to share, discuss and celebrate the huge range of diversity we experience on a daily basis. This is something I am keen to make time for this week and looking forwards. This week is Design and Technology week at my school. The week enables pupils to engage with a range of rich opportunities to imagine, conceptualise and make. To kick the week off, we heard from Patrick from Plume: a company who produce and sell Mudguards. As the cofounder of the company and designer of the product, Patrick took us on a whistle stop tour of the design process and exposed our pupils to the multifaceted world of product design and marketing. He led us through the ups and downs of his design journey with openness and honesty, including the number of failures and setbacks he faced along the way. The pupils were hooked from the beginning and children of all ages asked well considered and meaningful questions to further their understanding at the end. Listening to Patrick and observing the engagement of all the pupils during the assembly, I was reminded of the power of visiting speakers in terms of widening pupils experiences and understanding of broader future opportunities. Alongside this, the messages of determination, taking risks and overcoming failure were key points that helped frame the multitude of projects the children would be taking part in over the course of the week. These messages became particularly useful to discuss today, as my class took part in a ‘Dragons’ Den’ project. Beginning with creating a design brief this morning, the teams considered what ‘problems’ they were going to try to solve before brainstorming ideas for products that could provide a solution. This led them to investigate what is already available on the market in order to ensure their idea was to offer something unique. The research fed into their initial designs before a final design was reached and the prototyping stage could begin. Once the prototype was created, the teams began planning their marketing strategy, including designing a logo, a slogan, an advertisement and a launch event to promote the product to their target audience. Finally, the teams pitched their ideas to a panel of ‘Dragons’: the Head, Deputy and Year 6 Teaching Assistant. All day there has been a simply awesome ‘buzz’ in the classroom. The room was loud with the sound of group discussions, pupil-pupil questioning and broad, ‘sideways’ thinking. The children didn’t realise when break or lunchtime came and that didn’t stop them from working on their products either! The ideas were brilliant. And some were absolutely bonkers! But the children were all focused on reworking and reimagining their concepts after feedback from both adults and their peers. Levels of reflection were through the roof as the children raced against the clock to complete their designs and prepare their pitches. In education there is an almost constant dialogue surrounding ‘outcomes’. Sadly, these conversations are all too often data-driven, targets-based and held free from any real context. Today, however, the outcomes were real. Today, the outcome was the development of a range of thoughtful and meaningful concepts for products with a real purpose and audience. Ideas ranged from a ‘Glitz and Glam’ toothbrush with built in toothpaste and water recycler, to a football boot ‘Super Sock’ that improved pace on the pitch, and a water-filtering unit designed to be used in places where access to fresh, clean water is limited. Today, the outcome was children so engaged in thinking that they couldn’t stop. Today, the outcome was highly developed communication skills and refined presentation skills. Today, the outcome was a true understanding of the need for reflection, evaluation, self-assessment and learning from mistakes. Recently, too often I hear and read about negative experiences of teachers and negative portrayals of the profession. What we need is more of today. On Tuesday I led the first CPD session of the year with our whole school staff. 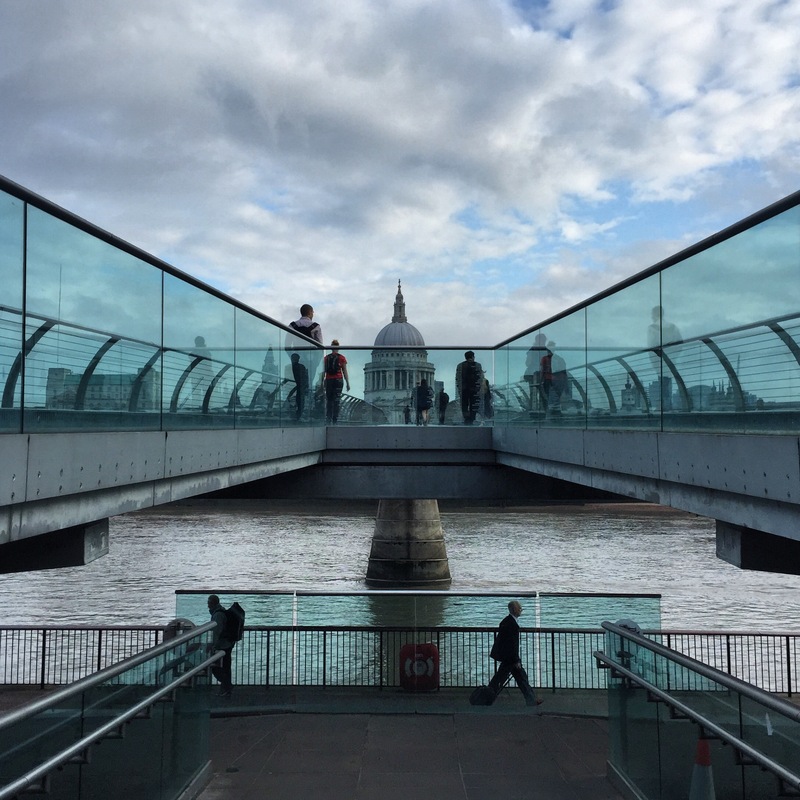 The session, based at the Globe Theatre in London, was designed to encourage teachers and support staff to utilise the amazing range of innovative learning opportunities London has to offer. 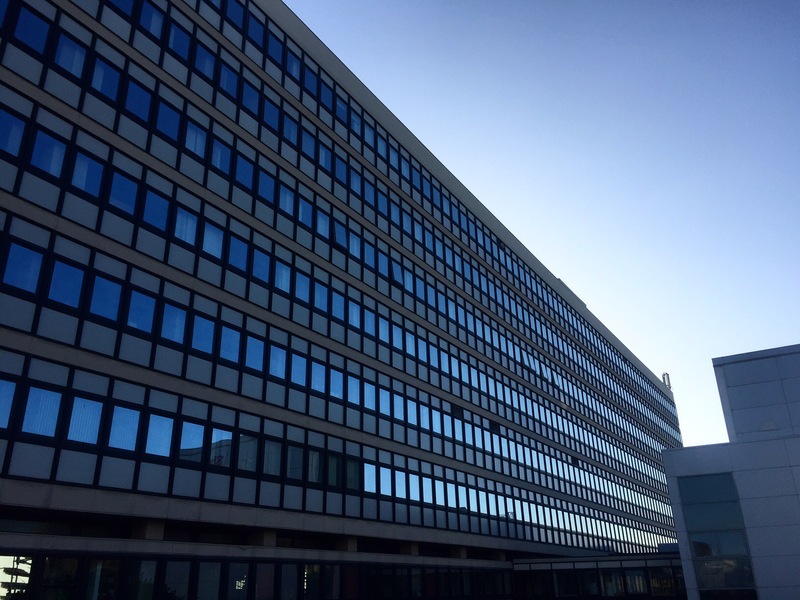 As a school based just within Zone 2 in the west of the city, we are lucky to boast good transport links (particularly useful as TFL provide free travel for schools) as well as a riverside location: the Thames is about 50 metres from our school gate. However, as with many schools, curriculum pressures and school ‘targets’ have, in the past, seemingly restricted teachers in their ability to feel confident about taking their pupils out of the classroom and into the world beyond the walls. Our curriculum (designed initially by a range of stakeholders including pupils, staff, governors, parents and subject specialists in 2014) is underpinned by 4 key drivers: ‘Knowledge of the World’, ‘Enquiry’, ‘Arts and Sports’ and ‘Ambition and Possibilities’. These drivers, alongside a ‘big idea’ help frame each curriculum topic across KS1 and KS2, giving each a real purpose and relevance to the pupils at our school. 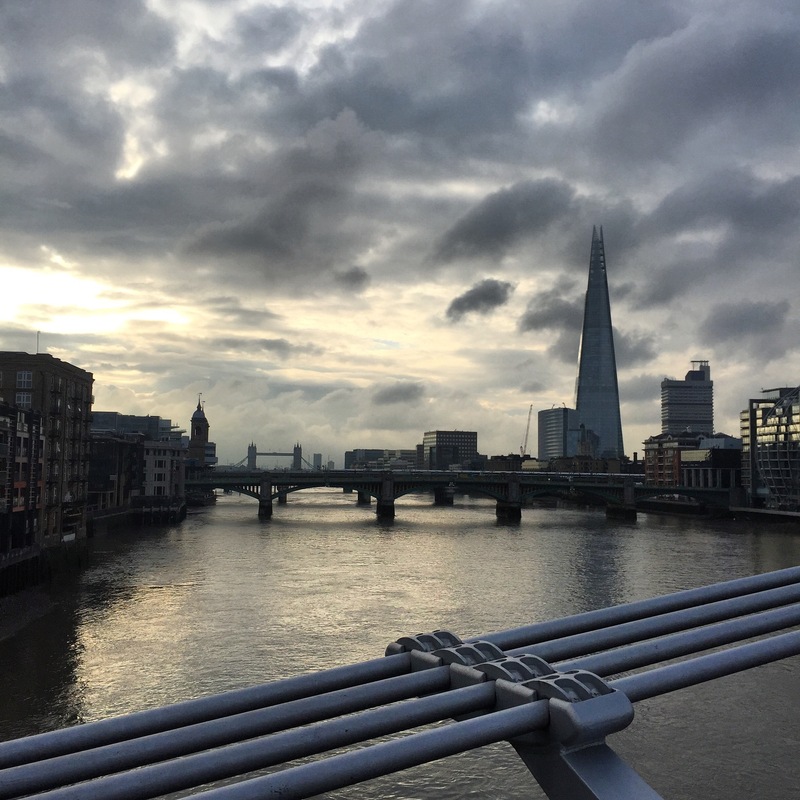 As part of our Leadership Team end of year reflections and having carried out a number of evaluations of teaching and learning throughout the school year, it became clear that we had lost focus on our drivers and that opportunities to use London as a platform for inspiring learning had been missed. London is one of the most exciting cities in the world and there are a wealth of rich learning opportunities on our doorstep. It was this idea that I wanted staff to explore during the day. Beginning by setting a bit of context to the day, I took staff back to previous INSETs I have led where we discussed ideas behind the future of learning; the unpredictable world our learners will inherit; the changing nature of jobs; and the concepts of deep learning and growth mindset. The focus then moved on to giving staff the time and space to identify opportunities within London for enhancing their curriculum for the next year baring all this in mind. The teaching teams approached this opportunity in different ways. 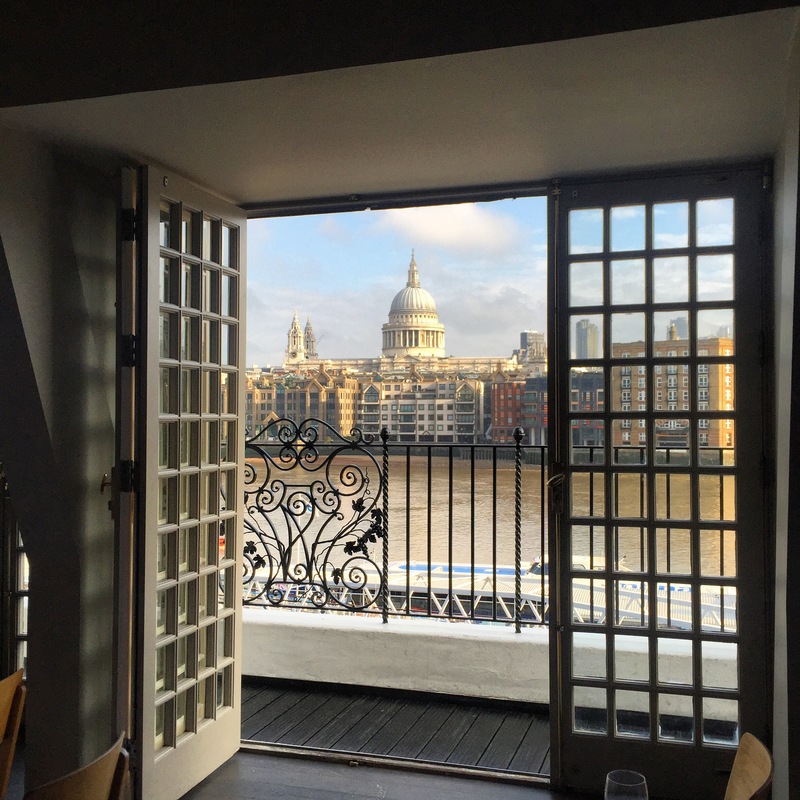 Some teams stayed in the room we had booked (with a very impressive view – see above!) and spent their time exploring and contacting organisations on a list that I had provided them with, many of which were based around ‘making’. Others went out into London to research areas/museums/organisations/businesses that would be suitable for their topics. At the end of the day we came together to discuss the opportunities we had planned in and more importantly to explain the purpose of planning these experiences for the children, firmly focusing on the ‘why’. From a visit to the Royal Courts of Justice where pupils would work with trainee lawyers to put together a court case to a walking tour of street art in East London the ideas had clearly been flowing. There was even a team trying to arrange to visit a sewer! The day was a great success and every year group now has some firm plans in place for inspiring learning this year. For me, the most exciting part of the session was the buzz around the room as discussions surrounding learning began. In addition, staff were investigating ‘different’ opportunities available to them in areas of maker businesses, including contacting organisations like the Makerversity. The teams were genuinely excited themselves about being in London and were quickly able to connect opportunities available to them with aspects of their topics. Now it is important that as a whole school staff we track the impact of these visits and visitors on the learning of our pupils and share and celebrate them with our school and local community.